Have you ever made homemade pretzels before? I remember making them years ago but then I kinda forgot about them. It is easier to just buy them now than make them – but they are never as good as homemade. 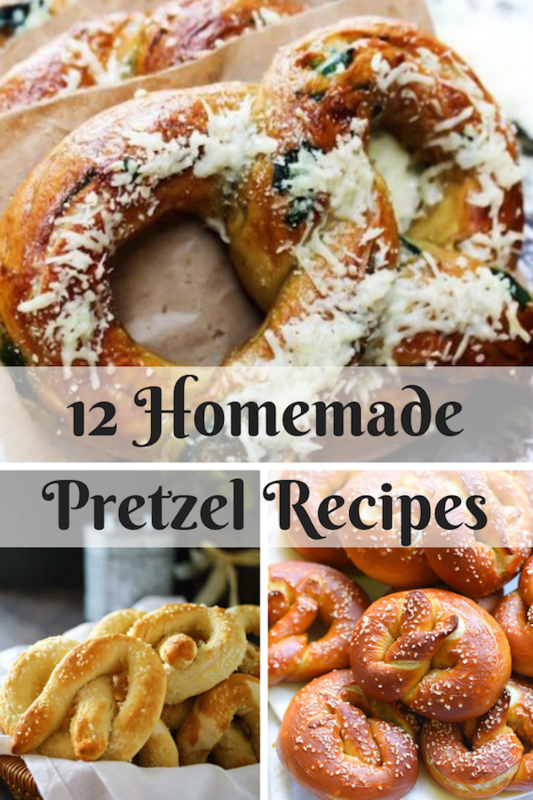 Luckily I found some great recipes from bloggers that feature pretzels in all sorts of varieties. I am so excited to not only make my own pretzels but try some new kinds than just traditional salted ones! Thank you for sharing. The pretzels look delicious. I have never tried making my own pretzels. I like the Spinach Artichoke recipe! Looks delicious! Oh Sweet!!! This is awesome. The whole family will love these.. Thanks so much..
My family loves Pretzels so I will surely make these recipes. So many of these recipes looks delicious. They would be fun to make with my grandchildren. I have never made pretzels before but always order them as an appetizer when we go out. They are my favorite. I figured they would be hard. I have never thought to make homemade pretzels before, I want to make the pretzel bites first!